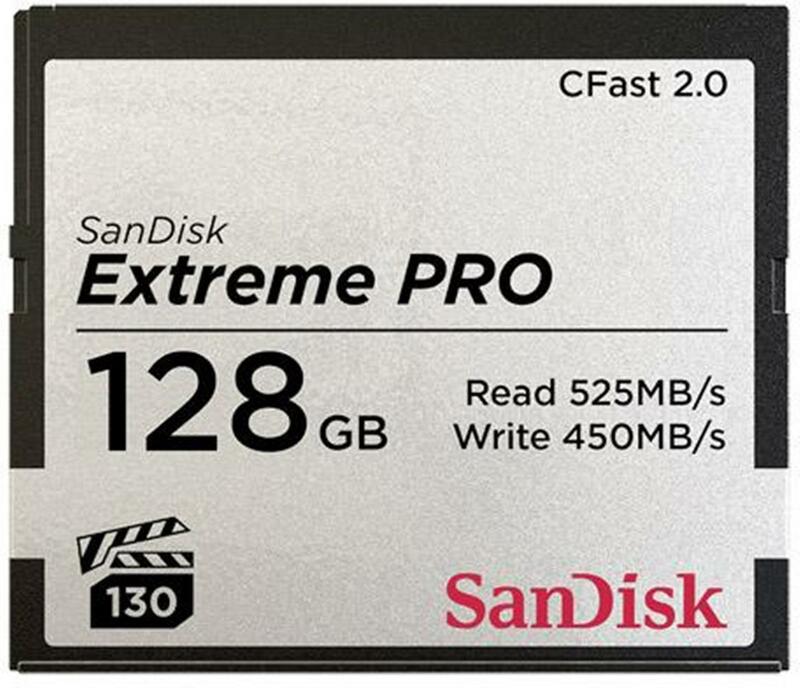 The SanDisk Extreme PRO CFast 2.0 memory card delivers the high performance that broadcast, cinema, and photography professionals demand today. The card has the speed, capacity and performance needed to record cinema-quality 4K video (4096x2160p). It delivers write speeds of up to 450MB/s and data transfer speeds, up to 525MB/s. With a video performance guarantee of 130MB/s (VPG 130), this is a great memory card for professional cameras and camcorders. Professional videographers trust SanDisk CFast cards to keep up with the high demands of the film industry. Get the most out of your professional camera with the high performance, capacity, and reliability of a SanDisk card.